In this next set of videos what we're going to do is upgrade a Drupal 7 module to Drupal 8, and part of the process is really discovering how to find out about things that you don't know or that don't have clear documentation or you just don't know what to search for. So, this is really a process not just about learning what the new parts of Drupal 8 are but also learning how to find out about things that you don't really know about yet. But before we get into that, I wanted to step back and really look at this full collection and explain why we're approaching things the way that we are. In Drupal 8 there's three different types of knowledge that you're going to be using in order to work with it effectively. The first is knowledge that you have about Drupal in general, and if you've worked with Drupal 6 or Drupal 7, there's a huge amount of carryover to Drupal 8. A lot of the concepts are the same. There's views. There's nodes. There's fields. There's content types. If you hear those words and you understand what they mean and you kind of envision how you'd work with them, then you have a huge head start in working with Drupal 8 versus people who are just starting with Drupal from Drupal 8. 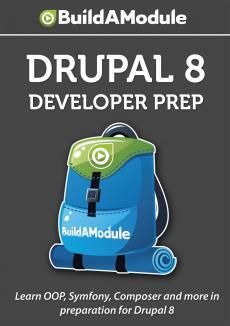 So, this is the first group of knowledge that will help you when working with Drupal 8.